Isenberg & Hewitt, PC, is an Atlanta-based law firm representing the interests of a wide variety of clients, including: individuals, families, small-business owners, entrepreneurs, and multinational corporations. With a team of experienced and dedicated attorneys and professionals, the firm helps its clients anticipate, address and resolve legal challenges efficiently and effectively. Our business law practice is well-equipped to handle the most sophisticated legal matters. Whether a client is caught up in a trademark dispute, insurance defense matter, or simply looking to protect and grow its business, we will provide the clear counsel and representation necessary. By building strong, professional relationships, we don't just help our clients prepare for tomorrow, we guide them throughout the entire life of their business. At Isenberg & Hewitt, PC, our attorneys are committed to helping accident victims and their families secure the compensation and relief after severe accidents. For those involved in motor vehicle wrecks, the victims of crimes, or those who suffered injury due to the negligence of property owners, we provide the support, counsel and focused representation that can make a significant difference in the amount of benefits and compensation they secure. We want to see our clients succeed and recover comfortably. That is why we take the time to get to know you, your family, your goals and the full-spectrum of your injuries. With a comprehensive picture in place, we can build a strong case that ensures you receive the treatment and finances you are entitled to. Over nearly 30 years, our firm has grown and developed. Each of our attorneys brings unique personal and professional experiences to bear on the cases we handle. With numerous recognitions and awards, including an AV Preeminent* rating from Martindale-Hubble, recognized by the National Trial Lawyers Association, and numerous others, we are proud of our accomplishments and look forward to putting our skills to work for you or your business. Our business law practice is well-equipped to handle business disputes, collection matters, breaches of contract and trademark disputes. Additionally, our practice forms legal entities. We counsel our clients on best practices to help them avoid losses and conflicts . So many of our small business clients are now large businesses and have relied on our guidance to achieve success. 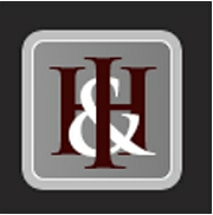 To speak with our attorneys, contact us at our Atlanta, Georgia, law office and schedule a consultation. Van De Water, Eric N.